You can almost hear the tone of horror with which the author wrote “with no maid at all” in 1913. I have the same feeling about the boxes (or, as the cookbook writer might say, The Boxes). I keep looking over at them and being amazed all over again that they’re there. Every morning as I stumble past them/into them, I discover all over again that they have failed to vanish overnight, the way nightmares should. I’ll avert my eyes and pour a nice, cold glass of Geyser Peak sauvignon blanc. It’s almost time for Jacques Pépin, and I know he’s having a glass, so I’ll join him. Just to be polite. *When I opened it to copy the preface, I found a file card in my father’s writing for Borscht Moskovski, and a slip of paper in his mother’s beautiful hand with recipes for rice pudding and spiced gammon. Also a newspaper clippings with recipes for cheese straws and oxtail stew. Available upon request. I should think quite a few of your books will most probably be worth quite a bit to collectors. You should check out with some second-hand book shops – esp. those interested in the older books. BTW we had a friend who would leave a $20 bill in this book or that!!! Just in case he needed the extra $$$ – wouldn’t it be interesting if you found such items..not to say handy. Recipe for Cheese straws would be of interest to me, when you have the time. Thanks for the offer. Wish I was close, having dealth in antiques before, I would sit down with you with the glass of wine and we could go through these treasures. This way, I could help you maximise the amount of money you could make with these treasures. Yeah, have you checked abebooks.com? I’ll pass on the recipe for oxtail stew/soup. 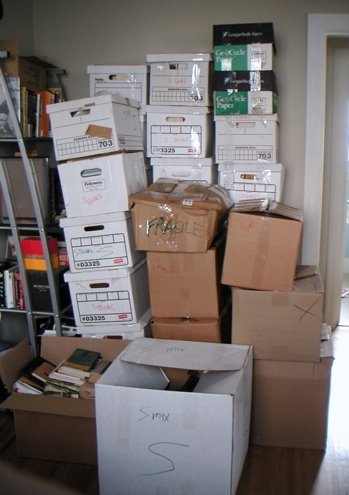 However, I’m appalled at the thought that there are one and a half boxes of books that you no longer want or love. I can’t imagine such a thing!